The Real Estate market in Berkeley County has been on a upswing for a long time. First it was North Berkeley with explosive growth and now South Berkeley is growing with leaps and bounds. For the last 10 years as seen in the chart below sales have been increasing and prices have been on the rise. The market has been on a steady incline over that period. But can that tread continue indefinably? In my circles of travel, people are calling for a pull back any time in the next year, and there are signs that its happening right now. In the higher price points, showings and activity have slowed. Its common sense that as interest rates rise in conjugation with general market price increases that buyers will be pushed out of the market. In turn, that will send a shock wave through the whole economy . To what degree that will affect the overall economy is to be determined. But what if there is enough job growth and people coming to Berkeley county regardless of the overall real estate market trend. That may just be the case and so we may just continue to grow when other parts are seeing a pull back. Jobs, Jobs, Jobs.. when you bring jobs you bring opportunity and you bring people. Those people need places to live. Home inventory is low. Builders, Rehabbers, Rentals are attempting to fill that demand. That will continue to drive this market. That could be what we are seeing and may see for the near future for Berkeley County. 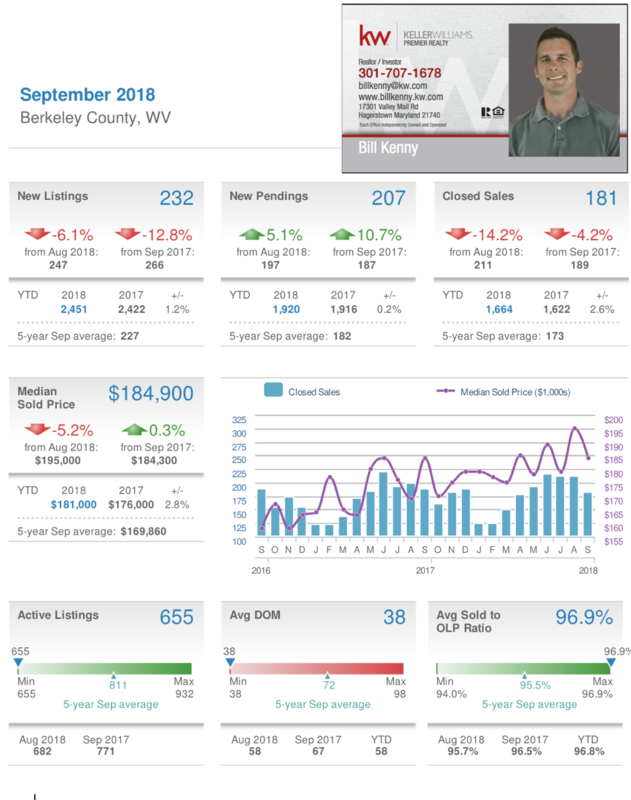 With Demand high for homes in Berkeley County and Supply very low, prices have been rising and homes are selling quickly. 33 days on the average for a home to sell in Berkeley County! Its a Good investor market to be sure. Martinsburg is very the same. Average homes are selling for $184,900 in Berkeley County. 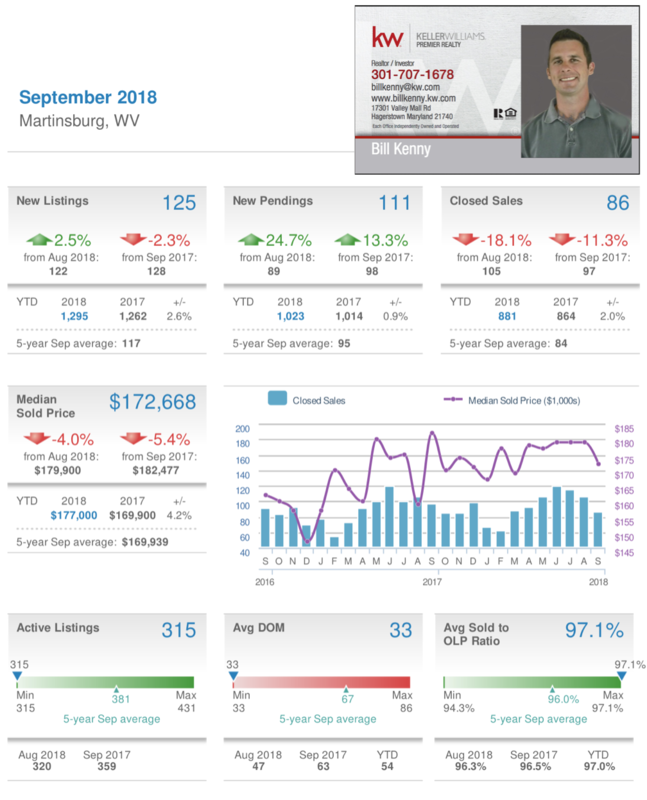 Sales pulled back a little in September but that could be a cyclical market trend. Overall the Berkeley County market looks to be on the rise due to overall economic trends. Below are more detailed market stats. 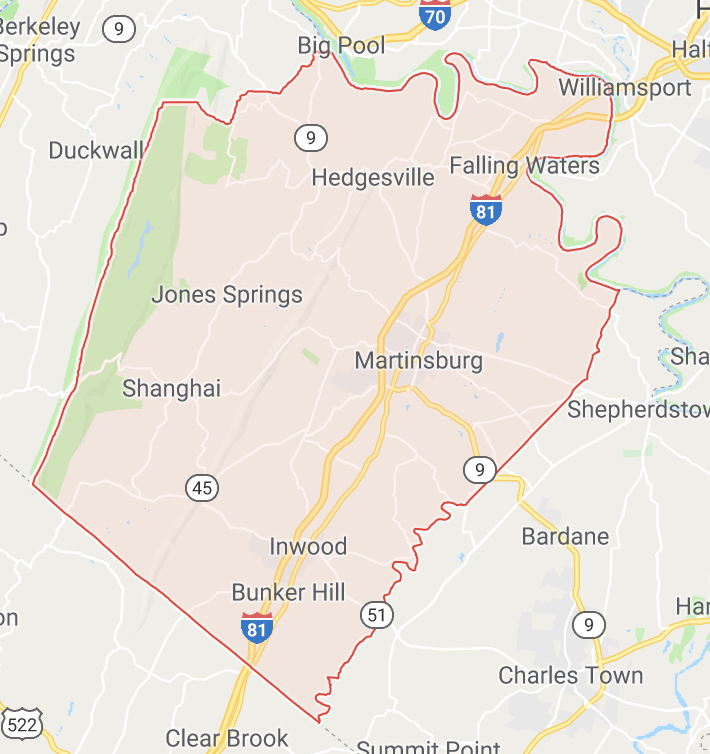 If you have any questions regrading the Martinsburg / Berkeley County Market please feel free to reach out to me @ billkenny@kw.com.